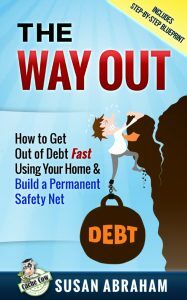 The book describes my personal journey of how I was able to change my mindset about my personal finances and improve my credit score over a 3 year period; taking it from about a 550 to consistently over 750. I was living paycheck to paycheck and basically financially broke until I transformed my thoughts. Each chapter of the book discusses realistic and actionable steps I took to achieve financial success, advance my career, and build a rental property portfolio of more than $1,000,000 within three years. 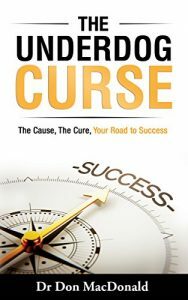 The book was written for people that are struggling to get ahead of their finances; preferably young professionals and young families. In the book, I describe how I changed my mindset and set clearer goals, by visualizing and speaking them into existence. Once my mindset was changed, I took specific steps to get better paying jobs, promotions, and higher earning job offers, ultimately, improving my finances putting me in a position to start a successful real estate investing business. Are you wondering how to go on after the death of someone you love? Do you have mixed feelings about certain holidays like Mother’s Day and Father’s Day? Are you longing for healing, peace, and a new sense of order in your world? Written by a licensed clinical social worker who is also a bereaved mother, the book presents a unique system of coping with death that combines insights from both her professional background and personal experience. This approach builds grief resilience and transforms the reader from heartache to healing, wellness, and growth. Losing someone you love can be a devastating experience. It is often excruciatingly painful and hard to wrap your mind around. Trying to take in the reality of death and then figuring out how to move forward can leave you overwhelmed, shattered, heartbroken, and frightened. And because it feels impossible to accept the unacceptable, we learn by osmosis to put misery on the back burner and pretend we’re mostly okay. These creative, insightful, and necessary conversation starters will help you dive deeper in your connection to one another. This book contains a wide variety of questions to support you and your partner in understanding each other’s inner world. In addition to incredible conversations, you will also discover the seven destructive habits of miserable couples, the seven habits of happy couples, and seven invaluable habits for after you tie-the-knot! – After marriage, what spiritual activities will you participate in as a couple? – How do you think that married life will differ from your single life? – Describe, in detail, your idea of a perfect romantic evening. – Imaging a well-known Hollywood producer wants to make a movie about your relationship, and you get to choose the actors. Whom would you select to star as you and your partner? Why? What if everything you are searching for is alive and well living within you waiting for you to activate and ignite it’s spark? When we dare to delve into the darker realms of emotions, armed with unconditional love, ready to embrace and heal the most unlovable parts of ourselves; we set our wounded beauty previously masked as a monster, free. Vanessa Smith explores the endless possibilities available to us when we bravely decide to heal our wounds and take ownership of our beautiful lives. Just Do It: Ten Ways to Increase Making Your Dreams and Goals a Reality (Part of the Paul G. Brodie Seminar Book Series) shows how you can change your mindset and increase making your dreams and goals a reality. What if a few new habits could increase the chances of achieving your dreams? What if you could increase the likelihood of making your goals a reality? Imagine waking up in the morning feeling happy and ready to achieve your dreams and goals. Amazon bestselling author, Paul G. Brodie, in his seventh book, covers ten ways to help increase making your dreams and goals a reality. Here are a few things that you will get out of Just Do It. What if you could stop procrastinating and achieve your biggest goals – faster than you ever imagined? Does your mind ever bounce from one thing to another, affecting your ability to be productive or creative? Does your inner critic occasionally control your thoughts, reducing your capacity to be kind to yourself? Does your heart hang onto past resentments even though you’d like to let them go? At one time or another, all of us struggle with these challenges. In Cultivating Compassion, Amy Pattee Colvin leads readers through a step-by-step exploration of personal values and thought patterns. She offers guidance through inspirational themes, self-reflection questions, and suggestions for daily action. Move toward contentment and away from anxiety while reducing judgment and criticism of self and others. Calm the mind and direct thoughts more positively while fostering deeper levels of serenity, resilience, and creativity. Integrate mindfulness and self-compassion practices into everyday life while developing the courage to take compassionate action. If you are ready move away from criticism and judgment for self and others and want to embrace peace and acceptance; or if you’d like to move through and beyond depression and anxiety to discover resilience, creativity, and joy, then Cultivating Compassion is for you. Shifting your mindset to a perspective of self-acceptance and self-compassion has a positive impact not only on your own life, but on the lives of family, friends, and community. It’s about the universal urge to make reality meet our expectations. How this urge becomes an addiction, wrecking lives and relationships. How it leads to anxiety, depression, substance abuse, broken marriages and dysfunctional parenting. ~ The three healthy alternatives to compulsive controlling. Until September 30, 2016, paperback edition only $13.33, ebook edition only $2.99. Maui: Ten Ways to Enjoy the Best Food, Beaches and Locations While on Vacation (Part of the Paul G. Brodie Seminar Book Series) shows how you can enjoy the best of Maui with the most up to date information. What if you could plan the best vacation possible to Maui? What if you could have an incredible vacation in Maui with a few simple steps? Imagine waking up in Maui with the best guide possible to enjoy the best Food, Beaches, and Locations while on Vacation in Paradise. Amazon bestselling author, Paul G. Brodie, in his sixth book, covers ten ways to enjoy the best of Maui. Here are a few things that you will get out of Maui.